I really love December! We can take a look back on the year to account for ourselves and also look forward to new opportunities, new dreams, and a new year. But there is much more about December. It is Christmas Time! It is the time to celebrate the real meaning of the Christmas season and to share the joy of life. My joy is believing we all come into this world for a reason and believing Jesus could be the very first poster child for coming into this world with a purpose. His birth, His life, and finally His death was totally dedicated to fulfilling that purpose. Similarly, we (“Friends”) also have a purpose in my opinion and the purpose is uniquely different from one person to another, from one “Friend” to another. And, as a collection of “Friends” I believe our purpose is Divine. I also believe when we are the closest to knowing, understanding, believing, and actively involved in this purpose, the joy we experience is unmistakable and wonderful. So, my Christmas message to “Friends” is that as a group of folks we are divinely called upon to help Copey and we should consider our work a joy for us and a blessing to others. We should enjoy family and friends…and not “miss the joy”. Our formal application to Building Goodness Foundation (BGF), located in Charlottesville, Virginia, requested their support to join us as partner in our efforts to initiate a successful fundraising campaign in 2018, was “not approved”. The reasons for not approving cited by BGF were: a) a BGF policy change placing their building focus on Guatemala, El Salvador, and Honduras (and some very rural areas in Nicaragua). And b) BGF did not see any real value being added for them to be involved since a local (Copey) crew could do the work. Of course, this decision is very disappointing news for “Friends” everywhere, the Copey community, and me personally. We devoted a great deal of time and energy in the preparation of the application to provide us the best opportunity to be evaluated and examined as a serious and worthy “partner” in this building project. However, we appreciate and have “thanked” BGF for the experience and the opportunity to be considered as “partners”. I thank each of you who contributed to the preparation of the application. We were all proud of it. Special thanks to Larry, Cindy, and Carol! We are not discouraged and will move on! We will continue efforts to find alternative ways to get our new Learning Center funded and built. Looking back to my earlier comments about knowing you have a purpose, consider this a very “special” purpose we have. We plan to do all we can to build the new Learning Center. Stay tuned as we begin to develop a new strategy for succeeding. Another joy I have each year is sharing our year-end performance report with all “Friends”. The twelve months have passed quickly but we have made great use of our time. 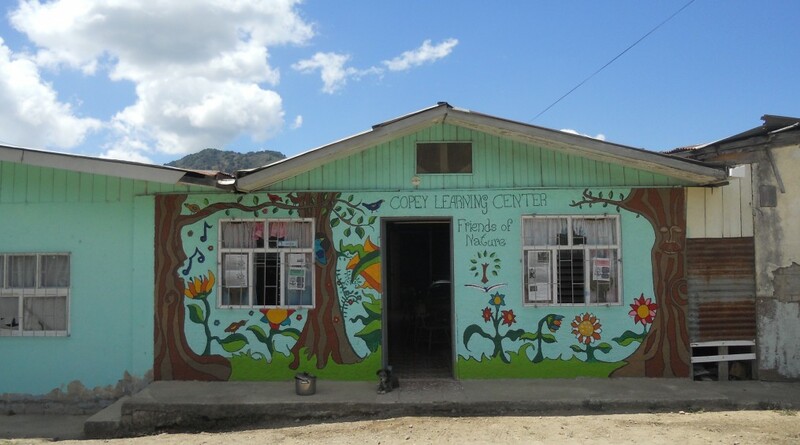 During the next few days, I will complete our “2017 Performance Report” for both the financial and non-financial support we provided the Learning Center. The year has been extraordinary in many ways. “Friends” has continued to impact lives by providing life-changing experiences for many. Look out for a “special two-part” year-end “2017 Performance Report” later this week. Thank you from the bottom of my heart! ← “Friends”…Not A Destination But A Journey! We must keep the faith and move onward. Great things are happening and another stone will be overturned to present new opportunities. Thanks to everyone who worked hard on this effort. I believe the hard work will pay off in the near future. Joy to all.